Dragons are keepers of many kinds of treasures. 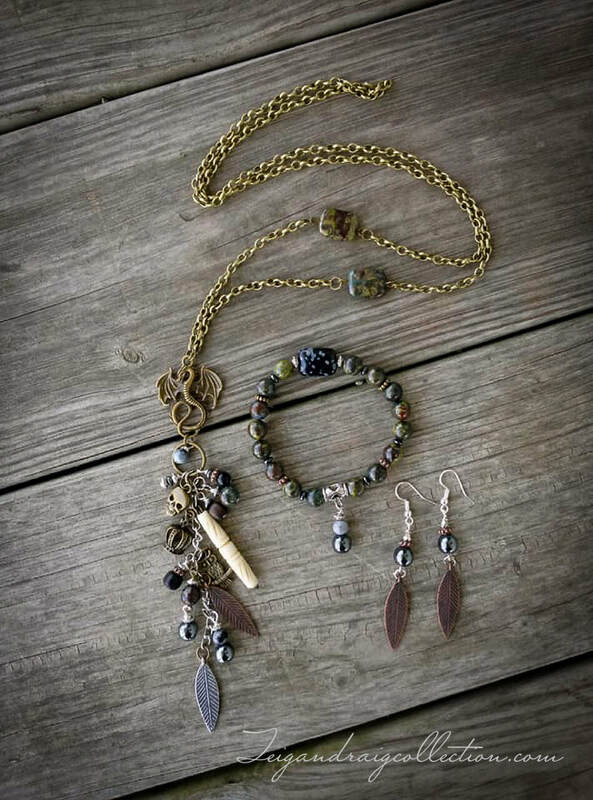 This jewelry set was inspired by those many treasures; from the skulls and bones of men who try to slay the mighty Dragon, to the crown of jewels stolen from the kings of men. 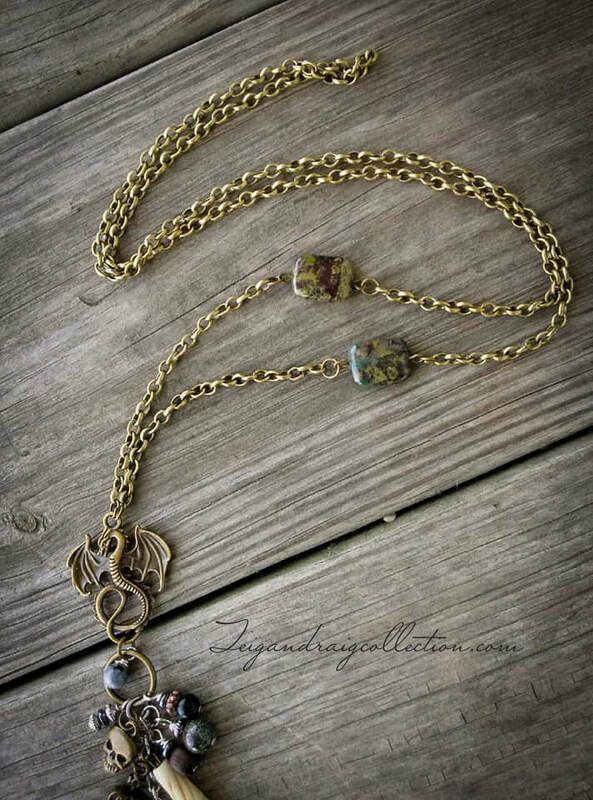 This set also displays the Dragon as keeper of the Earth represented by leaf charms, and the precious gemstones of dragon blood jasper, snowflake obsidian, and hematite. The final dragon treasure that inspired this set is that of wisdom as represented by the owl charm. 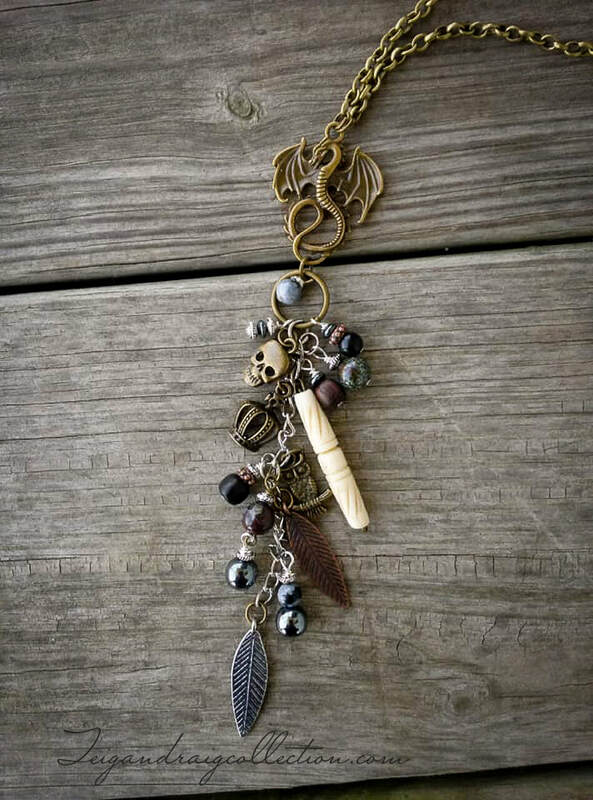 Charm tassel necklace - Features dragon blood jasper, snowflake obsidian, and hematite. Bronze chain is 32 inches long. 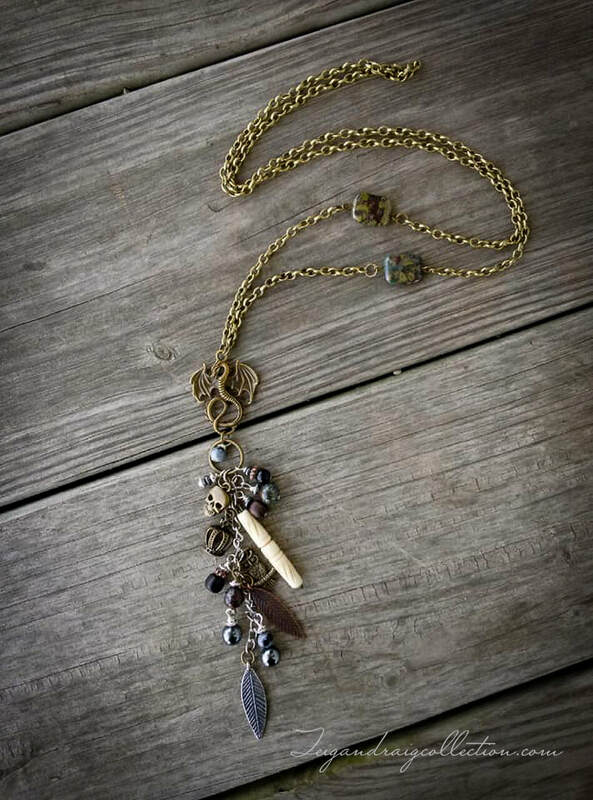 The bronze dragon pendant with mixed metals charm tassel measures 6 inches. 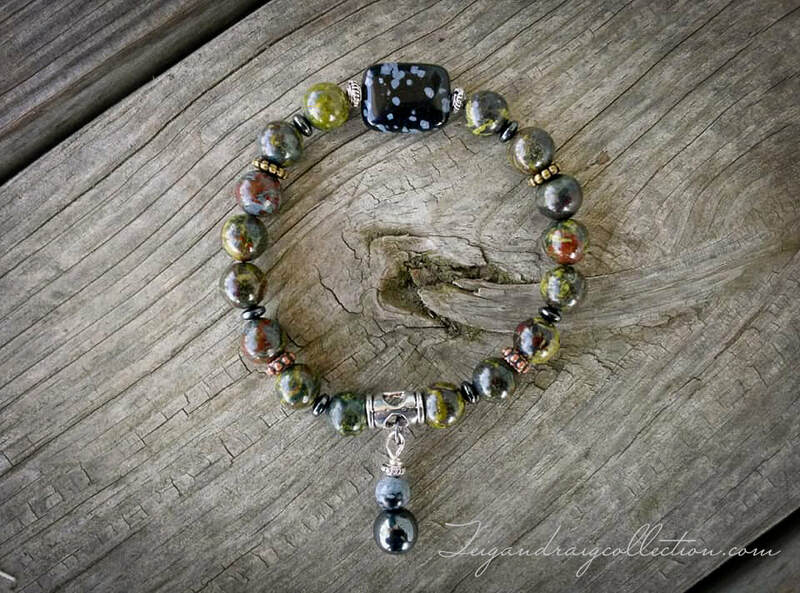 Stretch bracelet - Features dragon blood jasper, snowflake obsidian, hematite, with mixed metal accents. 7 inches long. 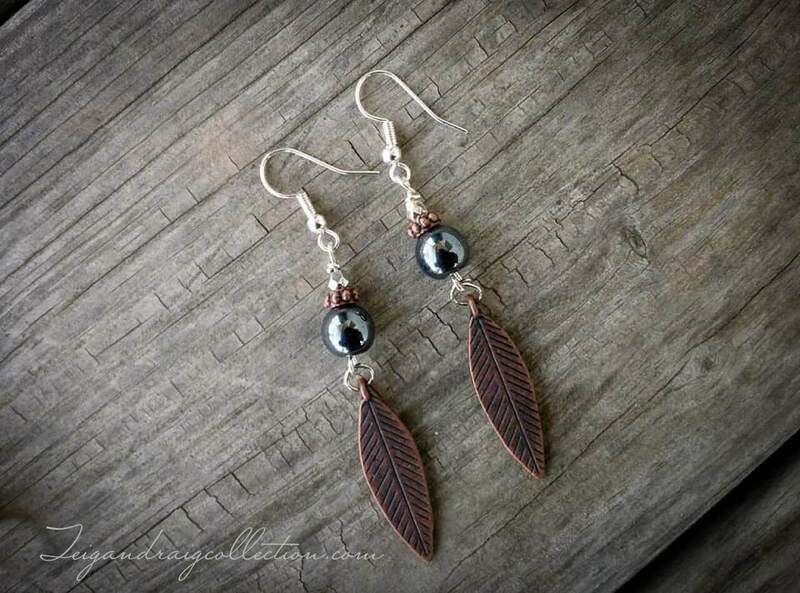 Earrings - Feature hematite bead and copper leaf charms with silver tone fittings and accent beads, completing the mixed metals theme.